A remote-controlled device to prepare tissue for permanent breast implants made a media splash – because of a wonderful patient success story. Earlier this year, we shared a blog on how making your healthcare event about people can draw in the media. But the same goes for the launch of a new technology or service: framing your offering in human terms, and attaching a great patient case study, can turn a dry pitch into a must-do story, or elevate a three-inch business brief into a front-page feature story. But be advised: it might take patience and discipline from all involved. Your CEO, lead surgeon, or department head might be anxious to let the public know about an expensive new piece of equipment. The marketing department or office manager might feel pressure to let people know about that new service or surgical technique so it can start returning the time and financial investment required to bring it on line. It’s up to the communications professional to rein in those impulses and help develop a plan that makes sense from both a business and media relations point of view. The payoff for waiting can be big. In October, 2017, a breast reconstruction surgeon for our client Holy Redeemer Health System began pioneering a new, noninvasive way of expanding the breast cavity for post-mastectomy implants. 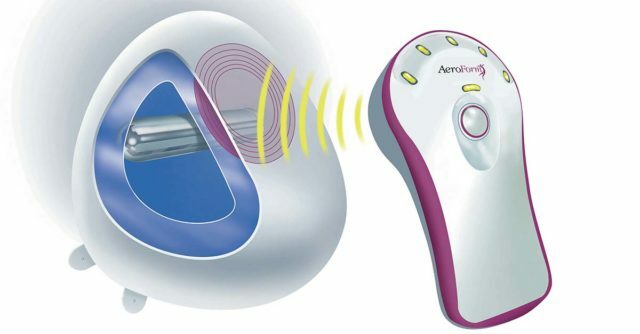 The technology, involving bursts of CO2 delivered via remote control at home, through clothes, instead of weekly saline injections in the doctor’s office, was both game-changing and visually friendly, as the manufacturer had provided samples to help explain the procedure to candidates. Dr. William Scarlett, also the health system’s interim chief of surgery, was currently the only physician in the region using the system, called AirXpander. The urge to shout about this was strong; no one knew for sure how long Dr. Scarlett would have exclusivity with AirXpander. But we knew the first thing just about any reporter would ask would be “Can I talk to a patient?” The problem was, patients were initially few and far between. Additionally, as the process takes an average of seven weeks to complete before permanent implants could be installed, there’d be no success stories to talk about until late fall, at the earliest. So we waited. By early 2018 he had several successful “air expansions” under his belt, and more importantly, was still the only surgeon in the Philadelphia area using it, according to the manufacturer. It was time to strike, and fortuitously, Dr. Scarlett had the perfect patient case study. Miriam, a 69-year-old former Philly resident now living in Florida, had resisted implants until learning of Holy Redeemer’s offering through a friend. She had beaten breast cancer and had just completed the reconstruction surgery, and was making occasional trips back north for follow-up appointments and to visit family and friends. She was also the adoptive mother of three Asian daughters, now adults, and was using her journey as a teachable moment for them. Along those lines, she very much wanted to let other women know about the technology, which she felt significantly eased the reconstruction process. No one could’ve asked for a better patient to offer the media. The local ABC station, to whom we’d offered the story exclusively, loved Miriam and promptly scheduled interviews to coincide with her next appointment in May at the doctor’s Bensalem office. In June, eight months after we first had a demo of AirXpander, the station ran a three-minute feature story. We are currently pitching AirXpander elsewhere. While not every patient case study will be as perfect as Miriam, it’s worth biding your time until you can find one or more who have been treated successfully and can proselytize about your new equipment or service. It’s always more effective to tell stories about people, rather than about machines, and if you can get patients to tell their own stories, better yet. Waiting doesn’t have to be passive; you can use the time to gather more information, hone your pitch, or tease reporters with information, and the prospect of connecting them to a “great patient whose life has changed.” Offer an exclusive to one particular outlet in exchange for their forbearance. You might not always be first out of the gate, but if you can present an exceptional case study, you’re more likely to inspire media to cover your shiny new thing.